The red beans and rice to start, because it was some of the best we had over there! Loved the addition of the little bits of spring onion tops! With the infamous Acme Oyster House just across the road, a lot of tourists mistakenly look at Felix’s as a second rate option only to be entered if they deem the wait for Acme too long. So wrong; while we’re not oyster people ourselves, they were flying out of the kitchen like no one’s business, and the friendly banter between staff and eaters indicated we were dining in the midst of plenty of locals, as opposed to the line across the road for Acme which screamed “tourists!” It’s simple but delicious food minus the pretentious attitude at a lot of the more tourist-heavy spots, great prices, and super friendly service; Felix’s felt so warm and homely, it was impossible not to love everything about it! The shrimp boil (would have gone the crawfish if they were in season) – completely incredible how they get so much flavour into those little guys!! Also, again, red beans & rice. This fast became one of our favourite meals, because we’d never had anything like it before, and it was SO GOOD!! 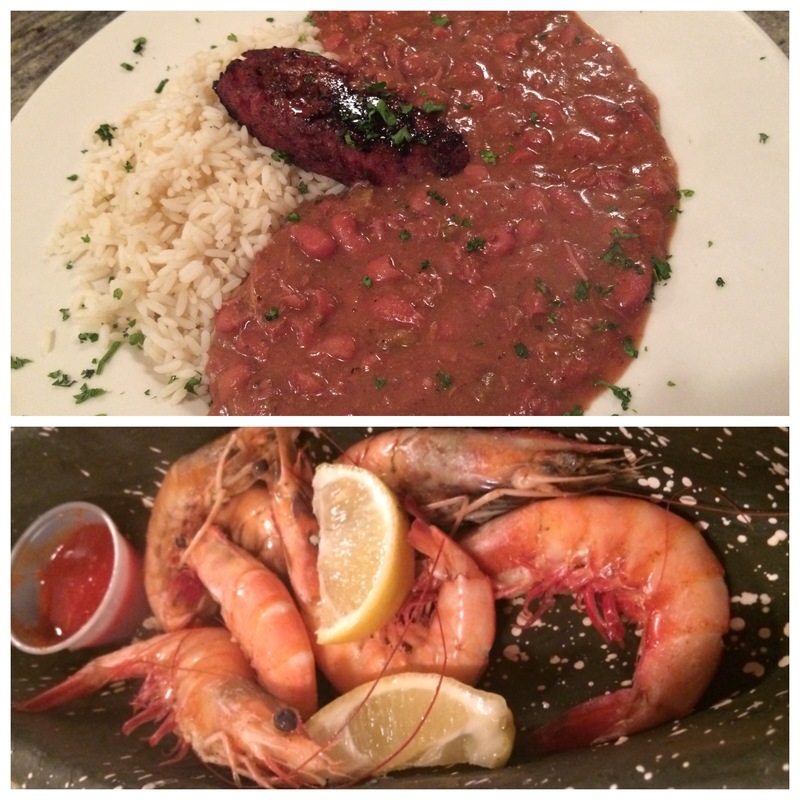 They’ve been around 1803 and have built a solid reputation on their seafood offerings and Cajun classics. They offer pretty big servings of food and are ideally situated right across the road from the market; yes, it’s a bit of a pricey tourist trap, but it’s also popular for a reason! This place needs no introduction, nor should you need any instructions on what to order. They do beignets, and they do them exceptionally well, which is why they churn out around 10 billion a day. They’re also open 24 hours, which is something we well and truly took advantage of while we were in New Orleans. Our temporary home, the stunningly perfect Cornstalk Hotel, was within easy (maybe a little too much so) walking distance. They were the first thing we ate when we arrived into NoLa, and the last thing we ate late at night before our 4am pick up to head to the airport to leave the city. They’re pillowy, deep fried, doughy perfection with the most un-Godly amount of powdered sugar. You will wear it and you will do so as a badge of honour. The cannoli. You know “leave the gun, take the cannoli”? That was because of cannoli like these. Angelo Brocato is a little gem treasured by the locals and not as known by the visitors. Much like the story goes in so many other parts of the world, my Italian countrymen made their way to New Orleans back in the early 1900s and established eateries from which to sell their delicious homemade food. This is another one of those stories, and the fact that they’re still around is testament to how good their food is. They do gelati and other Italian sweets extraordinarily well; I’m going to vouch personally for those cannoli you see in the photo above. I’m an Italian girl, I’ve grown up eating this stuff, and these are some of the best I’ve ever had, including the ones I’ve eaten IN Italy. Take time out from the French Quarter and the sight seeing, go to visit the Brocato family, get yourself a coffee and a cannoli, and be thankful for the enterprising Italians and their sugary delights. So now I’m going to have to go back and eat at all these places too! What a shame 😉 thanks for the link!